Janice D. Schakowsky was born Janice Danoff in Chicago on May 26, 1944; the daughter of Tillie (née Cosnow) and Irwin Danoff. Her parents were Jewish immigrants, her father from Lithuania and her mother from Russia. Schakowsky attended Sullivan High School in Chicago before going to the University of Illinois, Urbana-Champaign where she graduated with a B.S. in elementary education. Schakowsky fought for the public interest and rights of Illinois citizens for 20 years before seeking elected office. In 1969, as a consumer advocate, she began the fight that put freshness dates on products sold in the supermarket. As Program Director from 1976 to 1985 of Illinois Public Action, the state’s largest public interest organization, she fought for energy reform and stronger protection from toxic chemicals. As Director of the Illinois State Council of Senior Citizens from 1985-1990, she organized across the state for lower cost prescription drugs and tax relief for seniors, financial protection for the spouses of nursing home residents and other benefits for the elderly. She has been deeply involved in the fight to protect women’s reproductive freedom. As a State Representative, Schakowsky sponsored and passed many important measures, including bills to strengthen the Hate Crimes Act and nursing home protections; to increase support for public libraries, day care centers and home delivered meals for seniors; to allow parents leave from work for school conferences; and the first bill in the nation guaranteeing homeless people the right to vote. Schakowsky was elected to represent Illinois’ 9th Congressional District on November 3, 1998. The 9th Congressional District encompasses city and suburbs, including the North Lakeshore of Chicago, Evanston, Skokie, Niles, Morton Grove and several Northwest Side neighborhoods. She was reelected in 2018 to her tenth term. Schakowsky serves in the House Democratic Leadership as Chief Deputy Whip. She is a member of the House Democratic Steering and Policy Committee, House Budget Committee, as well as the House Energy and Commerce Committee, where she serves as Ranking Member of the Digital Commerce and Consumer Protection Subcommittee, and as a member of the Health and Oversight & Investigations Subcommittees. Schakowsky is among the most progressive members of Congress. She is a member of the Congressional Progressive Caucus and frequently earns ratings of between 90 and 100 from liberal and progressive interest groups. Schakowsky believes the number one priority in this Congress is to create jobs and restore a vibrant middle class. She also focuses on health care and senior issues. She was a leader in passing the historic Patient Protection and Affordable Care Act to provide healthcare coverage to all Americans. Schakowsky was responsible for provisions in the law to require improved review of insurance company premiums, nursing home quality protections, and initiatives to increase the number of health care providers, which benefit seniors and all Americans. A champion for the nation’s seniors, Schakowsky continues the fight to prevent the privatization of Social Security and Medicare, and to make prescription drugs more affordable. In her first term in office, she was successful in including provisions in major legislation to expand housing opportunities for low-income people and to assist small business owners and farmers. She is an active member of the Congressional Human Rights Caucus and is a champion of expanding our nations’ hate crime laws. She is a powerful voice for protecting children and putting an end to the epidemic of gun violence. In 1999, she organized the first national women’s forum on gun safety in Chicago and is working against the gun lobby to pass sensible gun safety measures that would save lives. Schakowsky has long been involved in the fight to protect women’s reproductive freedom. She continues her work to prevent violence against immigrant women, achieve economic parity, and establish transitional housing for women and children who are victims of abuse. 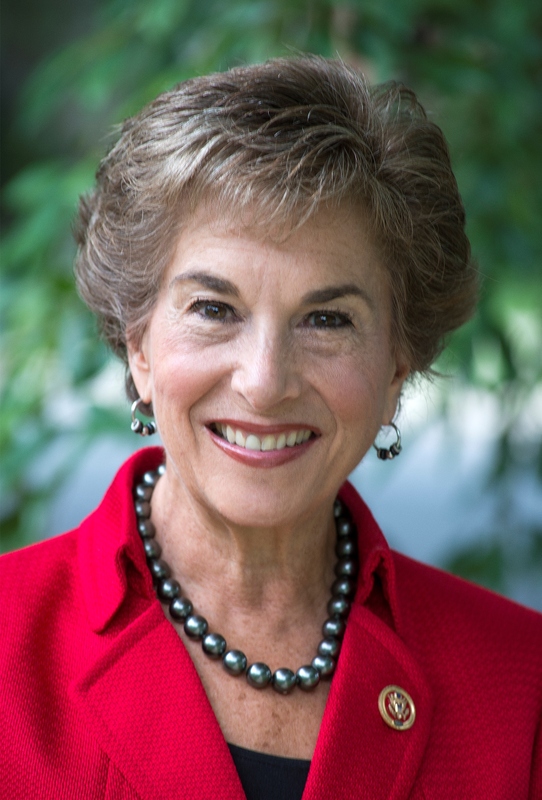 Schakowsky has consistently voted for measures to support Israel’s peace and security. She strongly supports helping Israel reach a negotiated two-state solution with the Palestinians. As a Jewish Congresswoman, Schakowsky has a deep personal connection to the State of Israel and pledges a continued friendship. In 2010, then Speaker Pelosi appointed Schakowsky to serve on President Obama’s 18-member National Commission on Fiscal Responsibility and Reform. Schakowsky is on the Midwest Governing Council of the Jewish Congress, and is a member of the Labor Union UNITE! and a number of grassroots and civic organizations. She also serves on the Advisory Council of the Board of Directors of Palliative Care Center of the North Shore. Schakowsky resides in Evanston, Illinois with her husband Robert Creamer. She has three children, Ian, Mary, and stepdaughter Lauren Creamer, and two granddaughters, Isabel and Eve.